Conventional wisdom says that genealogy starts from what you know and work back in time making family tree connections one generation at a time. Creating a well documented link from one generation to the next generation. There will be times when you want to break with protocol. Does this situation sound familiar to you? You come across another person researching their family history who shares your last name. They have traced their family back to the 1600’s and you would love to find a common link with them, so you could merge trees and make a huge leap in your research. Although this sounds like a juicy opportunity, it rarely pans out. The best case scenario would be to find a common male link and make a family tree connection. Assuming this is the case, unless their tree is properly sourced, you will still have to do the research to validate their work. Since males generally keep their family name throughout the generations, they provide the best opportunity to find a match. If you are truly related along the paternal line, you will eventually find commonality in the male line of your tree, if you can go back enough generations. If this is the case, you are good to start using their data as a guide for your research. The worst case scenario is that you are not related at all and you are wasting your time. A more common scenario is that you share a relative by marriage link. Each female child in a family tree creates the possibility of marrying and integrating their maiden name as an intersection into the tree. These types of relationships can lead to dead ends. 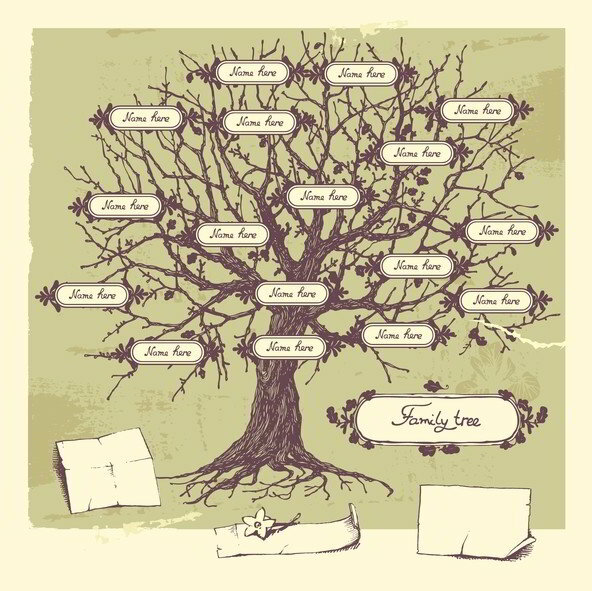 You might be able to figure out a by marriage intersection into your tree, but that assumes that you have located all the children and documented their married names quite a few generations up your tree. Just a couple of 12 child families in your family can make things exceedingly complicated. My advice is to take a quick look for commonality across both trees and if nothing jumps out to you, drop the effort. It is probably a waste of your valuable time to continue digging. There is, however, a new tool in your genealogy toolkit called DNA testing. You now have the option of using a service such as AncestryDNA to test both of your DNA and see, scientifically, if there is any commonality. If the test results match you as cousins, then you have something concrete to go on. AncestryDNA will also estimate how close a cousin you are, so you will know how many generations up the tree you will have to go to find an ancestor match.